Gurkhas together with Raja of Kahlur (Bilaspur) defeated Sansar Chand in 1806 A.D. In 1809 A.D. Amar Singh Thapa drove out Rana of Bhagal State (Presently in Solan District) and captured Arki. Amar Singh Thapa sent his son Ranzor Singh to attack Sirmaur. Raja Karam Prakash of Sirmaur had to run away to ‘Bhuria’ (Ambala) to save his life. Nahan and Jythak forts were under the control of Gurkhas now. In 1810 A.D. areas of Hindur (Nalagarh), Jubbal and Pundar (both in Shimla) were also occupied by the Gurkhas. 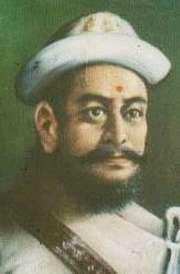 Amar Singh Thapa now attacked Bushahar State in 1811 A.D. He remained in Rampur up till 1813 A.D. and after that returned back to Arki. In 1813 A.D. Amar Singh Thapa tried to capture 6 villages of Sirhind (in Punjab), among which 2 villages were under the control of British-Sikhs. This led to dispute between Gurkhas & British. Secondly Gurkhas were coming in front of British commercial interests. Because Britishers had important trade ties with Tibet and Gurkhas had captured almost all passes & ways which connected British India to Tibet. So Gurkha-British war was looking unavoidable now. On 1 November, 1814 British declared war against Gurkhas. Under the leadership of Major General David Ochterlony and Major General Rollo Gillespie British fought against Gurkhas. With 4400 soldiers Major Gillespie defeated the Gurkha army in the fort of “Kalinga” which was being led by Bal Bhadra Thapa. Ranjor Singh son of Amar Singh Thapa went from Nahan to Jythak fort and caused heavy damage to the British Army. In the beginning Kahlur State (Bilaspur) was with Gurkhas due to which Gurkhas dealt heavy blows to British in many places. Later British with the help of Sadder of Bilaspur constructed a road from Kanuri to Nahan. On 16 January, 1815 British under the command of David Ochterlony, attacked Arki (in present day Solan). After this Amar Singh Thapa went to Malaon fort, due to which the forts of ‘Taragarh’ and ‘Ramgarh’ were captured by British. 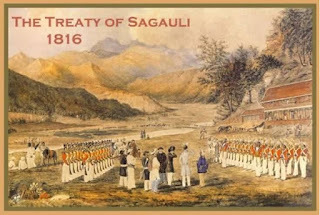 On 12 March, 1815 at Jubbal State, British together with Dangi Wajir & Primu forced a hundred Gurkhas to surrender. After winning Chaupal, British attacked “Rawingarh Fort” which was under the control of Ranzor Singh Thapa. With the support of Tikam Das, Badri, Dangi Wazir and Army of Bashahar the British drove out Gurkhas from the “Rawingarh fort”. In Rampur-Kotgarh the joint army of Bashahar and Kullu forced Gurkhas to surrender near ‘Saran Ka Tiba’. Now together with the Raja of Hindur ‘Ram Sharan’ and Raja of Kahlur, the British made a joint front to attack Gurkhas. Amar Singh Thapa had to run away from ‘Ramgarh’ and take asylum in the ‘Malaon fort’. The death of Bhakti Thapa (Brave Sardar of Gurkhas) in ‘Malaon fort’ proved to be a big loss to the Gurkhas. Also the defeat in Kumaon and unwillingness of his soldiers to fight more forced Amar Singh Thapa to surrender. 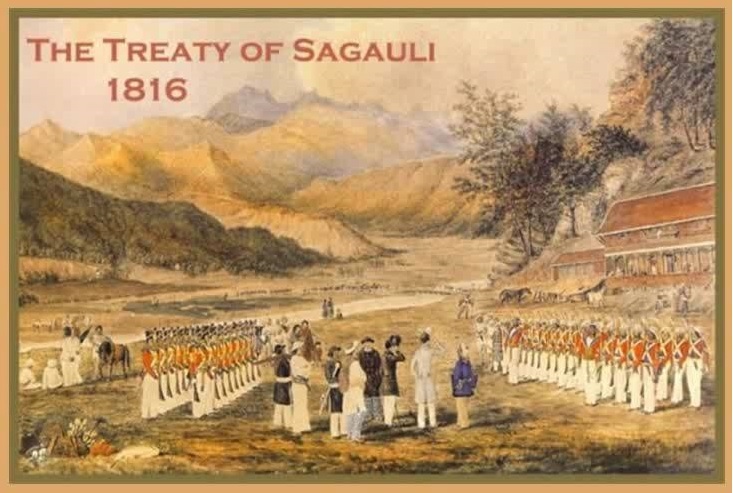 Amar Singh Thapa on 28 November, 1815 signed the “Sugauli Treaty” with British Major General David Ochterlony for respectable & safe return of himself and his son Ranzor Singh who was protecting the Jytakh fort to Nepal. According to this treaty Gurkhas were provided safe passage to go back to Nepal and were allowed to take away their own personal properties.